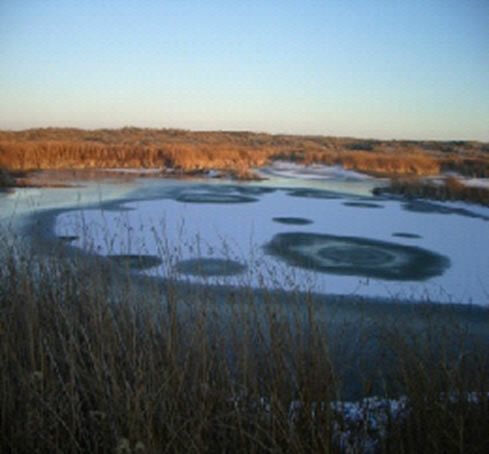 ELS was contracted by Aho Construction I, Inc. as part of a mitigation agreement with the Washington Department of Fish and Wildlife (WDFW) to enhance northern leopard frog habitat near Moses Lake, Washington. ELS staff conducted call-chorus surveys for the northern leopard frog, determining that leopard frogs were present near the development site. ELS worked with WDFW to conduct a wetland delineation and prepare a wetland mitigation plan for proposed impacts due to the creation of predator barrier berms in existing wetlands. The predator barrier berms provided breeding habitat for the leopard frog. ELS biologists coordinated with multiple agencies to obtain the permits and approvals for the enhancement project proposed by the WDFW including the US Army Corps of Engineers for a nationwide permit, the US Bureau of Reclamation for project approval on federal land and compliance with the National Environmental Protection Act, the WDFW for a Hydraulic Project Approval and State Environmental Protection Act compliance, the Washington Department of Ecology for 401 Water Quality Certification, and the Washington Department of Natural Resources for project approval on state land.